The Kentucky Folklife Program and the Department of Folk Studies and Anthropology announce this fall’s Pioneer Cabin Concert. 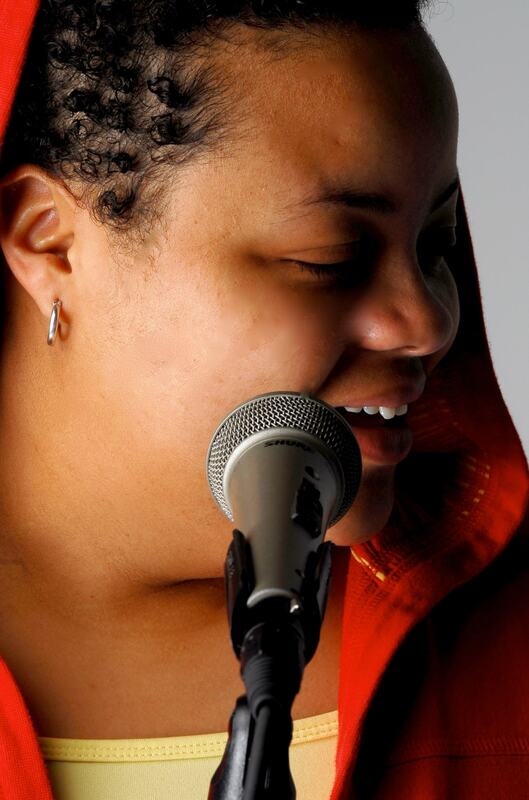 In continuation of our efforts to promote the work of traditional Kentucky artists and performers, we are pleased to welcome local neo-soul singer and guitarist Lauren Cunningham on Sunday, September 28th, at 4 p.m.
Cunningham’s stripped-down, feel-good performances combine gospel, soul, blues and jazz with her passion for social and political advocacy. Cunningham currently works as the community engagement coordinator for WKU’s ALIVE Center for Community Partnerships. For more information about Cunningham and her music, visit her Facebook page. The Pioneer Cabin Concert Series is an ongoing series that provides a venue for the university and Bowling Green community to enjoy traditional and roots music in the intimate setting of the Pioneer Cabin on campus. Tickets are $10 and can be reserved in advance by contacting the Folk Studies office at (270) 745-5295. Seating in the cabin is limited to 30 people. This performance will be filmed by WKU’s PBS affiliate, WKYU. Above photo courtesy of Cunningham’s Facebook page, Lauren Cunningham Music.